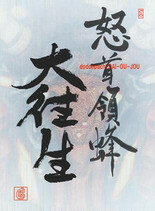 Dodonpachi Dai-Ou-Jou (lit. 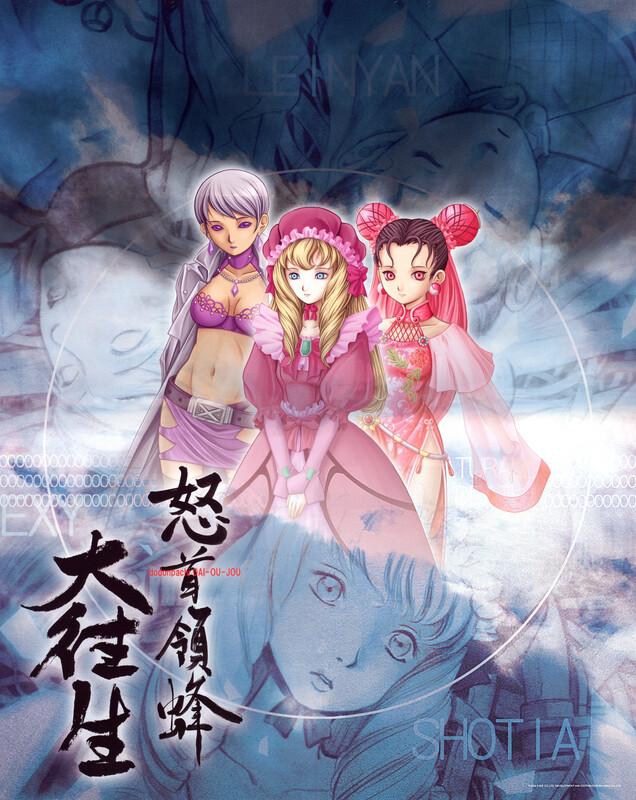 peaceful death), released in 2002, is the fourth instalment of CAVE's Donpachi franchise. It's often regarded as one of, if not the most, difficult CAVE games. Apparently Dodonpachi (1998) was born out of an ambition to create a game with twice as many bullets on screen as Batsugun. And with Dodonpachi Dai-Ou-Jou, CAVE wanted twice as many bullets as Dodonpachi! It is the first game to run on the new single board PGM hardware. However the PCB is mounted inside a blue metal box with a fan. While the graphical designer is still Junya Inoue, the serene steampunk world of Progear has been replaced with hard sci-fi. The style and ships themselves have been drawn very faithfully to the original Dodonpachi - sci-fi space crafts and huge enemy contraptions. Bullets are drawn in blue and pink, and many of the backgrounds are quite flat so as not to distract too much from the onscreen action. The music is composed by Manabu Namiki, and has a more cerebral feel compared to Dodonpachi's more visceral guitar soundtrack. Namiki also worked on Espgaluda and Ketsui, and this is probably the least memorable of the three. 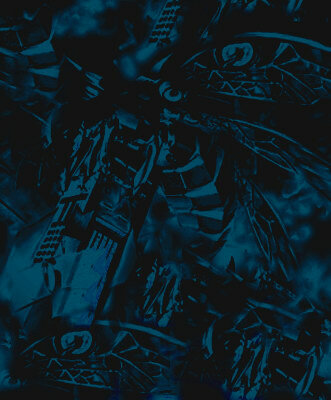 It's melodic, and the tension is raised with each subsequent stage. There are five stages, and a second loop with higher difficulty, which can be accessed by clearing the first loop, and meeting certain conditions. If the player can clear all five stages on both loops, they can look forward to fighting the secret boss, Hibachi. 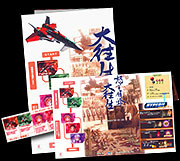 The game and it's scoring system follow on from DoDonpachi, the difference being that you now have two ships to choose from, and then a choice of three different pilots. One is a Shot type (wide shooting, but slow movement), a Laser type (narrow shooting, but fast movement), and Expert, which is middle-ground of the two, highly preferred for balance, but has the smallest bomb stock. On the left side of the screen, you have the GPM (Get Points Meter) which basically requires you to be constantly destroying enemies or holding your laser on an enemy or wall, to increase your chain. And your score increases exponentially with your chain. To get great scores, you will be aiming to chain each level from start to finish, which lends the game a puzzle-like feel. Another key difference between Dai-Ou-Jou and DoDonpachi is the Hyper Meter. Scoring well will lead to you filling the Hyper Meter, and having Hyper icons appear on screen. When you have a Hyper item in stock, pressing B will activate your Hyper even if you have bombs in stock. When you activate the Hyper, your fire power increases greatly, the timing required to chain enemies is more manageable, and you have a split second of invincibilty. However, it also increases the enemy's firepower and raises the difficulty. When the Hyper has finished, your firepower returns to normal, while the difficulty drops slightly, but doesn't return to it's default level until you bomb, or lose a life. The game received an excellent port to the playstation2 a year after it's arcade release. Ported by Arika, it's accompanied with a super-play DVD compiled by LAOS, TAC, and NAL (apparently these three players were among five known to have cleared both loops of the game, 12 months after it's arcade release). Initially quite intimidating to new players, the chaining system gives the game a great longevity, and the challenge will always keep you coming back for more. Just expect to die a lot.